What If Everyday Is A Bad Day? – Being a COA is a thing! 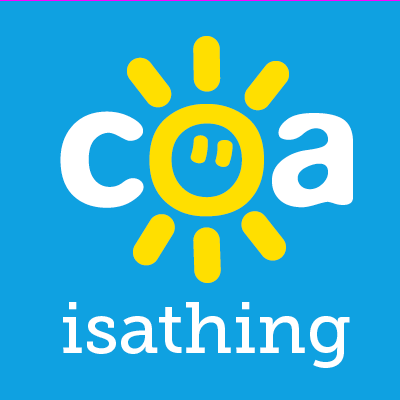 This weeks piece has been written by a very special & regular author on Coaisathing, Olivia. Olivia’s self awareness is mind blowing and this piece proves that, yet again. Her courage is amazing and this piece will help so many people again, I am sure! Talking about things in my life has never been easy. Although I try, the words won’t come out. My mind feels like the past wasn’t real but my heart feels every single emotion from sadness to anger to guilt and it’s only when I talk about things out loud that it becomes reality again. So I keep quiet most of the time . People think my life with an alcoholic was just them drinking and passing out, when it was so much more. It was chaos, it was heartache, it was terror, it was constant uncertainty about things that could happen. There’s days when I can carry on living life as though nothing happened but the majority of the time I’m physically here but stuck mentally in the past and it slowly rips me apart so I revert back to old coping mechanisms in order to get through it. Recently my mindset has been off. I will always have a good few days and then it will go straight back down again and it takes a while to get out of it. On the outside I look fine but inside I feel terrible. The most annoying thing is that I cant tell people exactly what it is that’s bothering me as its a mix of past and present issues as well as overthinking so I don’t talk to anyone about it. It makes me feel like a visitor in my own body. It hides my bubbly personality and I become anxious and isolate myself. I don’t want to talk to anyone, I can’t focus, and I’m on the verge of tears all day. I feel overwhelmed and don’t want to socialise or go to school but I force myself and the minute I’m by myself, my stomach drops and I burst out crying. It makes me more upset that I can’t go out and do things with friends or family without coming home and crying because it’s supposed to be an enjoyable happy time but it never is. There are the odd few people who notice, particularly in school because my work will always be off, who ask if anything’s wrong but how do you explain to someone else the amount of havoc going on in your head when you can’t really make sense of it yourself. My mum was always so good at making people feel bad about themselves and I never realised it would stick. I wanted so badly to be the person that helped her but I lost my mind trying to understand hers. I try not to let her get to me but my mind is constantly going over things trying to make sense of it all She makes me feel guilty and I question myself if I’m doing the right thing not speaking to her. Doing this makes me realise all the things she’s done and the fact shes still not better so I’m doing what’s best for myself but overtime I always feel guilty again and the same process repeats. I feel disconnected from everyone around me. I’m always in my own world of fear and worry where I’m constantly thinking of everything even the simplest of things. It feels like everyone’s moving forward with their lives and I’ve been stuck in the same place for ages. I want more for myself. I don’t want to fail but I can’t find the motivation or focus to get things done and I can’t talk to people or ask questions without worrying about embarrassing myself. People always say there are good days and bad days but what if everyday is a bad day? I want just one day where my mind doesn’t wonder and my eyes fill with tears. I don’t want to be like my mum. I worry that growing up with her meant that I picked up her toxic traits and it scares me especially when it feels as though I’m walking around with her on my back everyday. Previous Post It May Fade But It Never Goes Away!